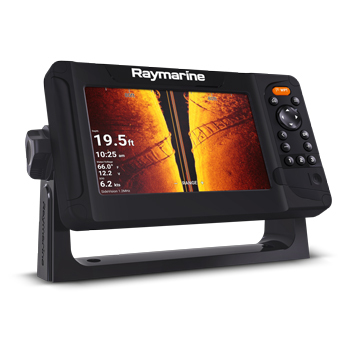 7” Rugged Display with Exceptional Underwater Images. The Raymarine Element 7HV combination unit is the perfect addition to smaller boats such as bay boats, flats boats, and more. A bright 7” sunlight viewable display provides you with unprecedented sonar and mapping views right at your fingertips. High resolution CHIRP technology sonar works together with DownVision, SideVision, and RealVision 3D sonar offering unsurpassed sonar functionality. Detailed Navionics+ mapping will also be included with your Element 7HV and will provide you with Coastal and Lake mapping detail for US and Canada. Built with a quad-core processor, the Element 7HV provides each end user with faster map redraws and sharper 3D sonar imaging. The Lighthouse Sport operating system offers a simplified user interface, an oversized waypoint key to mark your favorite fishing spots, and more. Packaged with your 7HV is Navionics+ Mapping which includes mapping for the entire U.S and Canada Coast and Lakes, and provides detailed cruising, sailing and fishing information, port plans, safety depth contours, marine services, tides & currents, and navigation aids. The element is also fully compatible with Lighthouse Charting, C-Map 4D and Navionics Platinum Plus. Included with your Element 7HX is a HV100 transom mount transducer combining HyperVision, DownVision, SideVision, RealVision, and conventional CHIRP sonar for the best underwater images. HyperVision 3D sonar and CHIRP technology work together with high frequencies to bring a new level of sonar technology to your boat. A 1.2 megahertz HyperVision mode offers higher resolution imaging up to 100’ (30 meters) for better fish targeting and high-speed bottom tracking. Easily switch to a 350kHz CHIRP sonar for longer range and higher resolution imaging up to 600’ (180 meters) below the boat. RealVision 3D sonar offers a better depiction of ledges, channel beds, and any contour changes that may affect the type of fishing you are doing. 8gb of internal memory allow each user to store 10,000 waypoints, 150 routes, and 15 tracks, all which can be expanded with an SD card up to 32gb’s. NMEA 2000 connectivity is just another added bonus you will get with your Raymarine 7HV which will allow for simplified networking to your VHF radio, engines, heading sensor integration, and more. 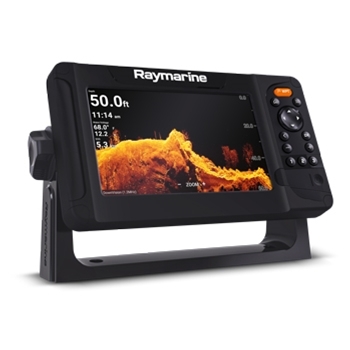 For a great addition to your vessel, purchase the Raymarine Element 7HV. 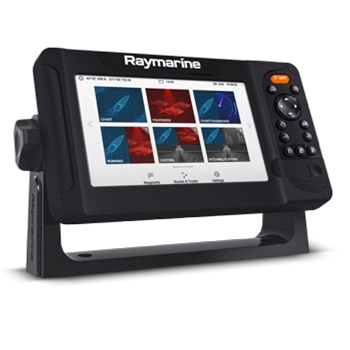 Raymarine’s Element 7HV ships with Navionics + maps.Built with a Quad Core processor for quick and accurate on screen information, the 7HV is HyperVision, DownVision, SideVision, RealVision, and conventional CHIRP sonar ready with compatible Transducer. Transducer Sold Separately.